It’s that time of year again when our kids head back to school. Parents settle into a normal routine, and forget to pack lunches for the first day. Oh wait, is that just me? One of the things I stress out about is meeting our new teachers. It can be challenging to get to know a teacher in the few minutes or seconds you might see them each day, if you even get to see them each day. As a parent, I want to know what will help our teacher have the best school year. I don’t want them worrying about spending their own money on things that we can help provide. But what do you get for them? I’ll happily bring in Kleenex and Clorox Wipes. But what do they really need? After talking candidly to several teacher friends, here’s a list of back-to-school items they’d really like to put on a list, but won’t. These are items they’d love to have but won’t ask for. Yes, they want name brand items. Non-name brand items often lack quality. They don’t last. I won’t buy cheap pencils, so I don’t expect teachers to use them either. The greatest thing about this list? I can order directly from Amazon and help those teachers out too. I included their affiliate links in hopes that they can earn a few extra dollars this year for supplies they’re holding out for. Here are ten things that would make Back-to-School a little easier for most elementary teachers! Silhouette CAMEO 3 – This one is a dream. Not only does it come with everything you need for vinyl cutting, but it also comes with an online class. Personal Laminator – So many teachers waste a lot of time waiting for the laminator to free up. If they had their own, or even one to share with neighboring teachers, this would save time. Scotch Thermal Laminating Pouches – Can’t use the laminator without the pouches! Astrobrights Card Stock – This is the good stuff. This card stock can handle printing devices and is durable for laminating. 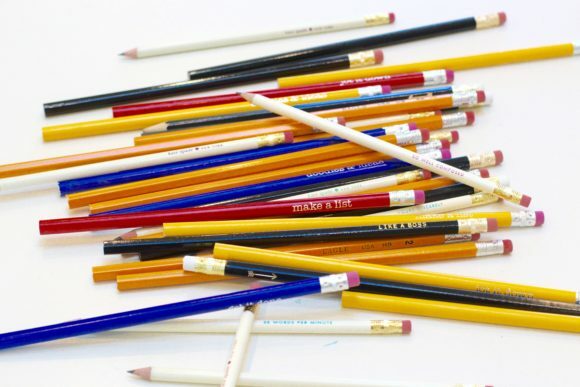 Ticonderoga Pencils – These are the worlds best pencils, so they say. And they come pre-sharpened…huge timesaver. Electric Pencil Sharpener – For teachers working with a lot of elementary kids, they spend a lot of time sharpening pencils. The electric sharpener is a huge time saver unless a teacher needs a good time-out task. 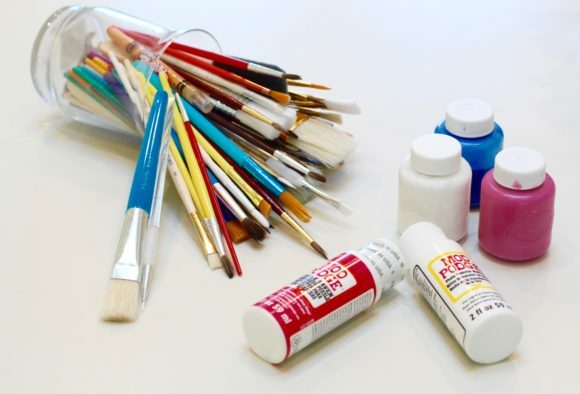 Glue Sticks – You’d be surprised at how fast 60 glue sticks will disappear. Teachers go through these boxes of glue sticks faster than you can say Elmer’s Glue. 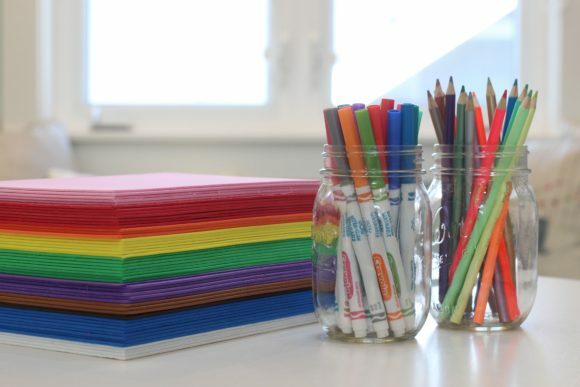 Dry Erase Pockets – These pocket shields are perfect for little learners. And essential for saving time at the copy machine. You can use sheets over and over again. Expo Markers – These markers are needed to use with erase pockets, and are also heavily used on whiteboards. Expo is the preferred brand because you can tell the difference in their quality and durability. Flair Pens – These pens aren’t just pretty, but they are durable and last a long time. Keep in mind, many teachers are still buying Crayola Crayons, Poly Folders, Kleenex, and wipes out of their own pockets. By us getting things they really need, teachers can focus their efforts on our kids and not supplies. Happy back-to-school! Here’s to all those teachers out there who patiently work with our kids! I honestly don’t know how you do it every day. We are grateful.